We thank all our current and former partners and donors for their support. The Foundation’s activities are mostly financed from grants. However, an important part of our income comes from gifts by individual donors, institutions, foundations and private companies. Besides financial support, non-financial gifts such as services and products are just as important for our work. If you are interested in supporting the Forum 2000 Foundation as an individual, you can do so in several different ways. All proceeds will be used to support the Forum 2000 Foundation’s activities. Stand up for open dialogue, freedom and democracy! 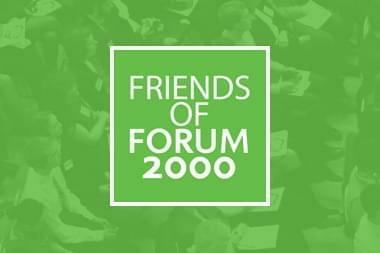 Support us regularly and become a Friend of Forum 2000. Buy a Forum 2000 T-shirt or button and show your support for democratic values, human rights and tolerance to the world. 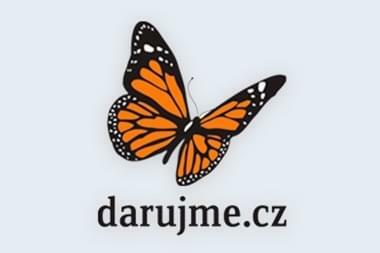 You can send us your gift right away using a simple online system Darujme.cz. Organizations and companies which share the values of democracy, human rights protection and strengthening the mutual tolerance in the world have a chance to become a short-time or a long-term partner of the Forum 2000 Foundation.